I really never gave it any thought before until I weighed my beloved Pug at the veterinarian recently. It was astounding that she was considered to be obese as I was. 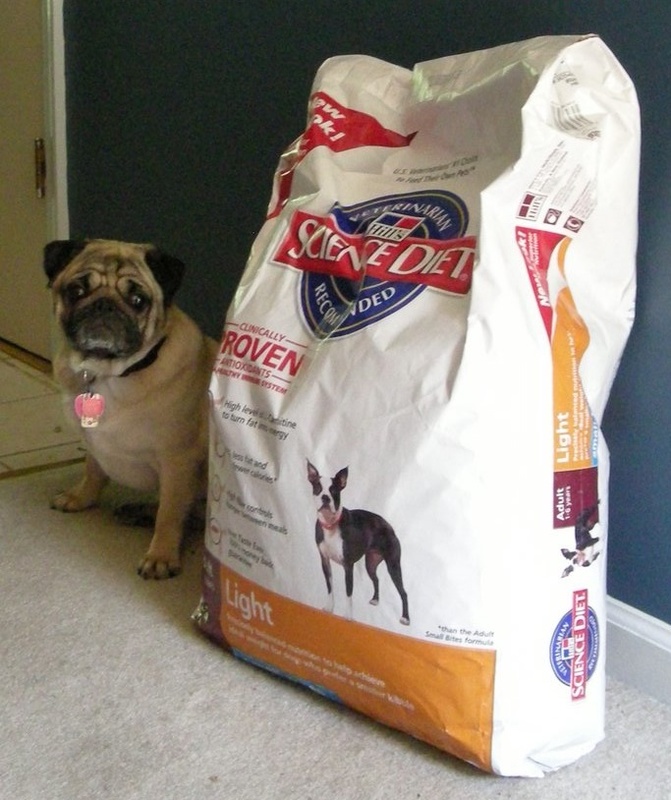 Looks like my pug was going to join this dieting journey along side me. To fix this situation, I immediately changed his food. I also found out that exercise would help. My animals were taking my bad habits. Any snacks or meals that I chose to eat, they ate. I made the terrible mistake of feeding them my table scraps. I never realized that if I fed my dogs the same crap that I fed myself, that they would be in a dangerous health situation, similar to my own. So now, instead of one person on a diet with the ability to either sabotage or take charge of, it is myself plus one. I’m in charge of my pug and myself. I’m standing alone and in charge of saving two lives. It’s a pretty scary perspective especially if I’m already having such problems on my own diet. I don’t have kids and my animals are basically my children. It really says something that our habits, especially dietary, set the bar for our children-whether human or a bit furrier. They are following our footsteps, whether healthy of not. My “child” is a victim of my bad habit. It is time to break the chain and start to make changes. This entry was posted in Answers, Director Notes, Film, Food, Personal, Production, Questions and tagged animal, Barry Roskin Blake, change, children, dog, fat, findingthin, future, journey, pug, veterinarian, weightloss. Bookmark the permalink.